Selection of application materials in downhole processes in a sour well is lead by a special set of factors. Service temperatures can be high up to 800oC or 1470oF. The hot gas is aggressively corrosive and the marine conditions cause vigorous problems. High temperature strength, corrosion resistance, easy fabrication and readily welding products are the essential factors. To select a material for any application, it is important to choose a material that offers successful performance while becoming cost-effective. A material should have essential physical and mechanical properties while preventing corrosion in the specific condition. Downwell conditions include dissolved acid gases for example CO2 and H2S in molten phase, chloride ions from salt or brine, temperature and pressure. The presence of elemental sulfur is the next aspect. The magnitude of dissolved gases is based on their partial pressure. The pressure in these conditions increases with increase in depth and temperature can be 500oF or 260oC or more in deep wells. Downhole tubular and oil and gas production plants demand wide range of materials such as duplex stainless steel, nickel alloys and austenitic steels. In nickel alloys, the presence of nickel, chromium and molybdenum act as primary determinants of corrosion resistance. Small magnitudes of other elements include copper, niobium, tungsten, aluminum and titanium may have considerable effects on corrosion resistance and strength. Alloys used for oil-country tubular goods can withstand these severe conditions in oil and gas fields. These alloys create safe and economical environment for use in extreme of temperatures, pressures and hydrogen sulfide content. Corrosion resistant and economic Inconel bars and Incoloy alloys are widely chosen for these conditions. Incoloy 825 provides effective resistance in sour well conditions. It is a solid solution alloy that can be reinforced by cold processing to minimum yield strengths. Incoloy 825 can be used for service in well conditions where stainless steels would be susceptible to SCC, pitting or crevice corrosion. On the basis of specific strength and temperature level, Incoloy alloy 825 is found to be resistant to SCC at H2S pressure about 1000 psi. The alloy can serve up to 175oC or 350oF. Further Hastelloy C276 is used when the sour well conditions are the most severe and have free sulfur. Mo concentration of this alloy is highly useful in oil-country tubular items, providing outstanding resistance to conditions H2S. The solid solution alloy can be cold processed to high strength and is available with nominal yield strength. Considering mechanical strength, high temperature and presence of sulfur, Hastelloy C276 is highly useful in performing against H2S conditions up to 10,000 psi and 500oF temperatures. Heanjia applies high standards of quality in manufacturing these alloys and these alloys are made in different forms such as plate, sheet, pipe, tube, wire, rod, strip etc. 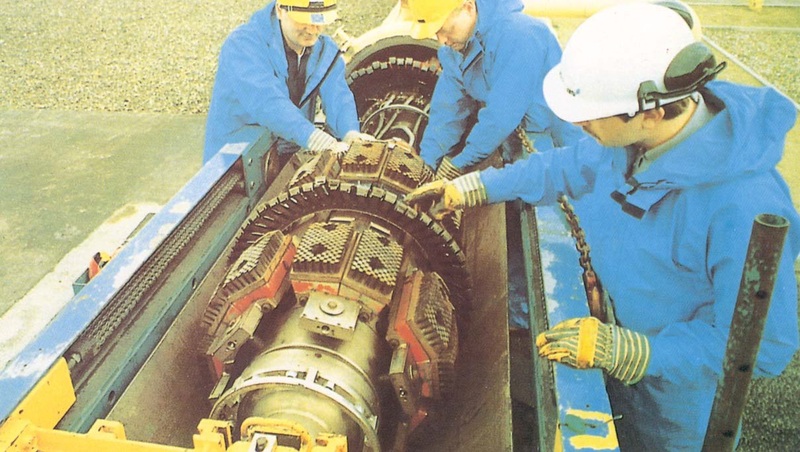 The most suitable alloy can be chosen in a required form for any oilfield process.